Just as the Changelly and CEX.IO were reviewed in the past, we will be also going in-depth on Paxful exchange where we will be exploring different sections and areas where it might be of importance to you as a user and how you can invest your precious commodities in the right way in this Paxful review. Sign up to Paxful here! Based in the US, the company was established during the year 2015 by a group of developers who sought out to initiate and create a peer-to-peer marketplace that enabled traders (buyers and sellers) to communicate after affixing different trading opportunities. The team working for Paxful intent to generate and support a simple, equitable and safe platform that enables users to perform value of the trade. The site performs as a worldwide peer to peer payment logistics platform and assists Bitcoin trades equivalent to the way how Ebay promotes the trading of daily goods. The site conducts as an arbitrator or a mediator between parties who are intrigued and generates a space for its users to liaise or communicate effectively. 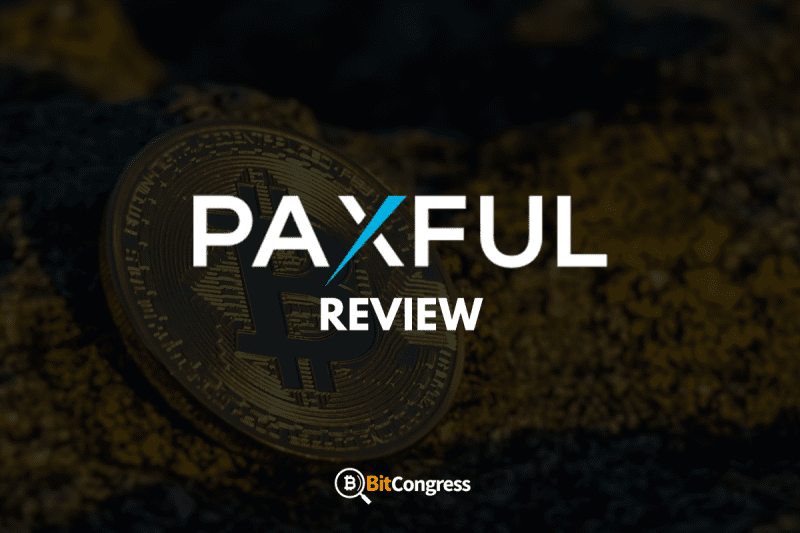 Paxful seems to be a well-known choice to enable a Bitcoin trade since the site provides a user-friendly experience, and also offers the multiple arrays of different payment methods that are found or made available online. Different payment choices include bank transfer, credit or debit card, PayPal, MoneyGram, and Skrill. On the same grounds, along with these methods, users are enabled to decide and choose to make purchases by taking advantage of numerous amount of gift cards such as Amazon and iTunes. All these options enable Paxful to be a suitable site for trade (buying and selling Bitcoin) with multiple transactions. In order to start using Paxful, users are able to reach out to the site and easily select any amount of Bitcoin they would wish to purchase along with the local currency, the Bitcoin amount will then be displayed on the screen after entering the previous steps. Moving on, after the creation of an account; users are entitled to seek out to available Bitcoin sellers online. Search categories that are a common and open compromise of different currency types along with different methods of payment. Following this, users can survey all orders that are made and open wherein; quite a number of suppliers will be accessible. Therefore the most acceptable vendor can be reached out by viewing different accepted payment methods, minimum and maximum order amounts, as well as the price. Users can also prospect a feedback rating of a seller as well as the account history in order to settle their suitability. As the user searches and sought out a suitable vendor, it’s probably to initiate a trade by selecting the “Buy” option. It’s then mandatory to decide on the amount the user would like to purchase and thus finalize it. This will lead to an escrow service being opened and a chat option that will cause the user to communicate head-on with the seller and later discuss in detail regarding the trade. Once the trade has been resolved and the user concludes the respective payment, he/she can click “Mark as Paid” and hold for the Bitcoin transfer to the respective user’s Paxful wallet. When this is accomplished, users can then take advantage of using the Bitcoin in any way possible. Users who are visitors to the site and haven’t created an account will be then shown an alternative or another method to purchase coins. After selecting the currency and the certain amount they would choose to purchase, visitors can follow instructions that are outlined in order to generate their purchase completely and successfully. Dealers viewed on the site are imposed with a 1% fee wherein there is also a minute ‘mining fee’ that is to be paid by the dealer when Bitcoin is consigned from one particular address to another. In comparison to Localbitcoins; Paxful manages as a peer-to-peer marketplace and also takes advantage of numerous key features wherein a high level of usability is being tried and guaranteed. No merchant fees: Merchants pay 0% on all sales. The share of price rates is taken from sellers. A huge new market: Get entry to the 2.5 billion unfortunate people who do not have access to financial services in the world. No chargebacks: Sellers protect merchants from any sort of risk. Secure and trusted: Use a secure token in order to protect users from cyber attacks. Radical support: Customer support available throughout to help users daily. Safety of Funds – Paxful generates wallets that will reserve funds as the user registers for an account. This wallet works in an efficient way in order to store and transfer funds on the site. Paxful’s servers are monitored and maintained in relation to specifications of banking that are at its peak in terms of security. 2 Factor Authentication – In order to guarantee security; wallets will need complex passwords and two-factor authentication. Enrolling 2FA helps in aiding users wallets to be protected, and supports an extra layer of protection against cyber attacks especially hackers. An Escrow Service – As users trade on the site, all funds are clasped in escrow until parties from both sides affirm whether all parts of the transaction. This interprets as a method to protect traders and enable a more smoother flow of transactions. 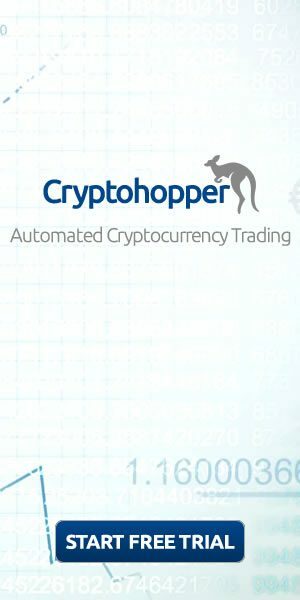 Reputation Ratings – Based on the activities, all traders are given a ranking, furthermore; feedback ratings, trading history are all made open and viewed to the public. Customer Support – Paxful’s support system operates as an understandable guidance in which the support team usually has a quick response time. Users have the capability to contact the support team via a variety of options such as direct message, email, phone, and social media. It is to be noted that Paxful remains a low-cost option due to its low commission fee charges. Although, in relation to Localbitcoins, suppliers on the site charge more Bitcoins compared to more well-known centralized exchanges in general. On peer-to-peer marketplaces, sellers choose often to produce a profit by moderately enlarging their selling prices. Usually, suppliers move forward towards the risk of selling Bitcoin to different users that may attempt to commence a chargeback (via Credit/Debit Card or PayPal), due to this result; prices are raised much higher over the platform so that risk is attenuated. Monitor the supplier’s profile brief and authenticate whether if they are acceptable for dealing with. Whenever possible, always look for sellers with a well reputed and officialized account along with a high positive feedback rating. Accounts created should be experienced over a year, with a minimum rating of at least 98%. Communicate the seller and appeal for an exchange via the platform. It is mandatory to not negotiate and set up external trades with sellers as this invalidates the escrow service and creates a possibility of scams to take place. It’s also noted to stick to connecting through the Paxful message box and refrain from sending messages via email, mobile, or SMS. Ensure to describe demands as much as possible and emphasize any issues that may have been found. Usually, prices will vary on different methods of payment the user chooses and can also depend greatly so be sure to confirm an acceptable tender. Decide on a payment method that provides good protection levels. Gift cards purchased using cash are favored by scammers as they are difficult to track. If a user runs into any sort of issue after a credit or debit card usage, PayPal, or maybe even a bank transfer then he/she will have an additional layer of security. Associating with the customer support and making use of the forum if there are any issues being experienced, or have any queries regarding tenders. Although it may seem the entire process is quite direct and simple, it’s always probable for users to face such problems. Therefore, it is advisable to make use of the resources available. Paxful is one of the uncomplicated methods in order to attain Bitcoins and the site ensures transacting of a buy-sell-trade is available and accessible to anyone with a computer. For users on Paxful, there is no such thing as limitations in buying and selling coins as the users have the complete freedom to decide on the amount of identification verification they can use during the trades. Shedding more light on Paxful, users are allowed to make different purchases via the immense range of payment options which are available currently. Much of the site’s appealing insights are due to the fact that it enables a large amount of flexibility regarding payment. But, when the user uses the site, it’s important to note that there are corruptible and false buyers and sellers on the site whose main agenda is to scam traders that are legitimate. This is the main drawback when using the site and the core team behind Paxful ensures an extensive customer support, moreover, the team spends efforts to a forum and resource section that ensures users to be notified and updated about everything which is happening on the site. For users who are looking to trade Bitcoin whilst using payment services such as PayPal, MoneyGram, and Skrill, Paxful is the ulterior option. Also, in order to take advantage of greater flexibility with payment methods, users are to be prepared to pay beyond the prices in the market, since sellers choose to impose more for Bitcoin comparatively to other mainstream exchanges. 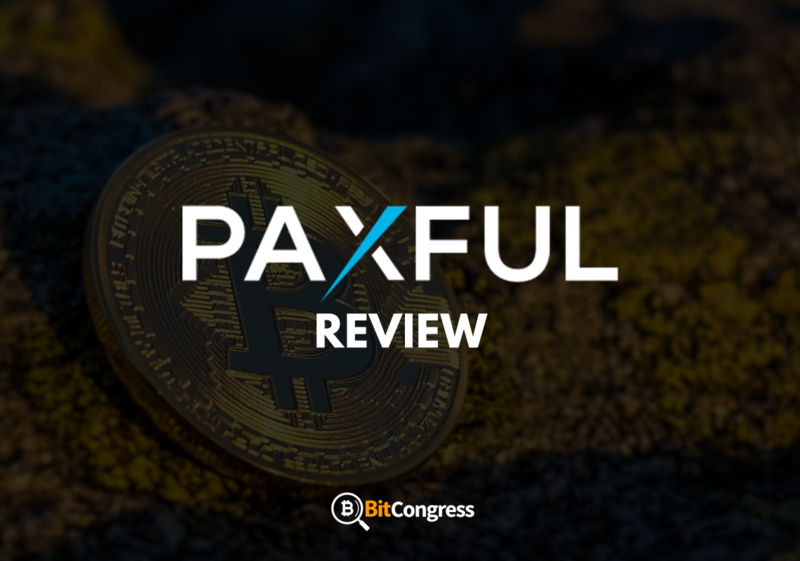 Paxful is a well-ranked method for individuals to trade in Bitcoin and still retains as a versatile option for a lot of users in the Bitcoin community. The site provides buying opportunities for users who may generally be not fortunate to purchase Bitcoin. As a result, it is a recommendable choice for both new and more knowledgeable and experienced traders. Despite this, Paxful users should be able to comprehend and ensure to use all the resources necessary in order to authenticate vendors and operate in ways that will ensure protection and safety at all times.